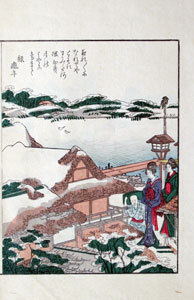 Hashiba (橋場) is located north of Imado quarter. 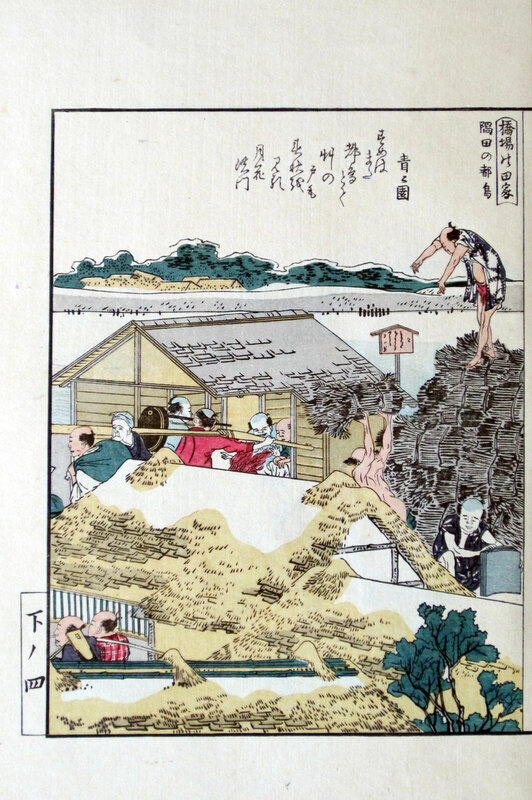 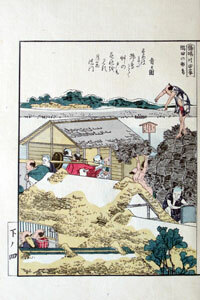 In the foreground of print 3-8 men are piling up wood for the kilns of Imado. 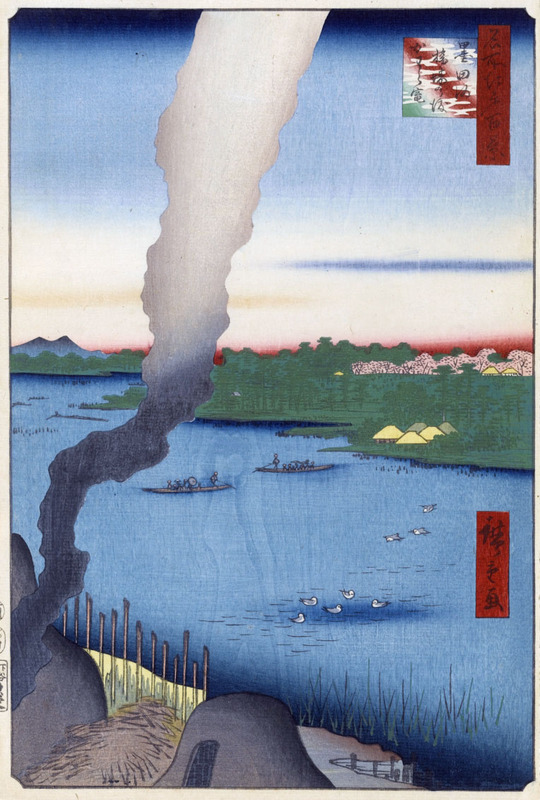 The surface of Sumida river was famous for the plovers that could be spotted here, two of which are depicted in print 3-9. 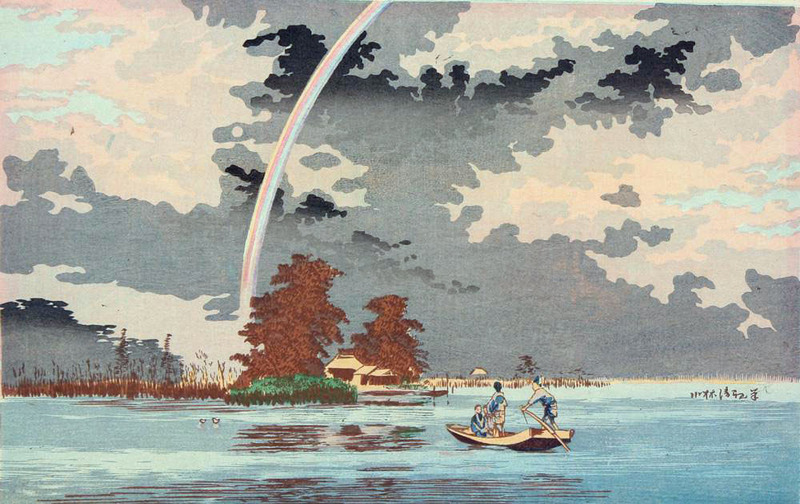 “One hundred famous views of Edo” series (1857). 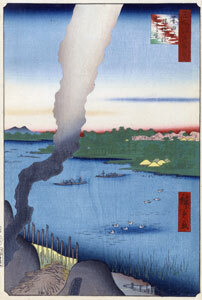 The view in both prints is that of the Hashiba ferry and its landing on the west bank of the river. Plovers are still very much part of the design (whether swimming on the left or flying on the right), but Kyochika has now clearly started combining the Japanese woodblock tradition with the knowledge of western technique and composition that was entering Japan at this time. 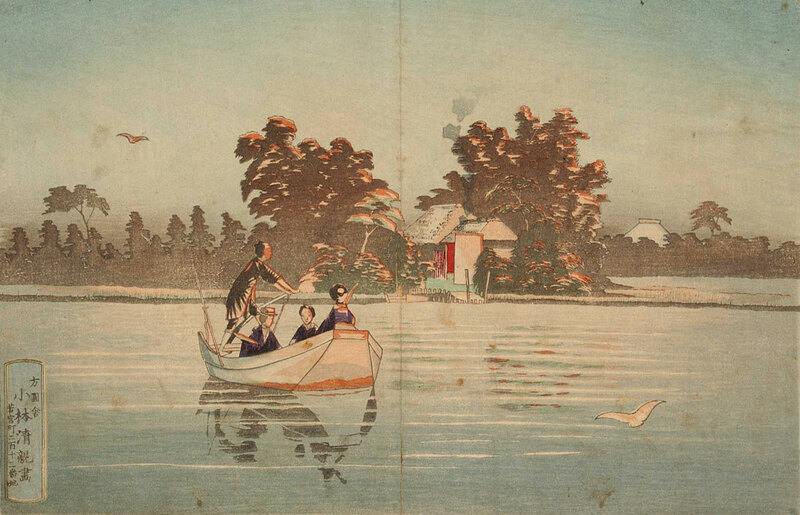 Especially note how well in his evening view Kyochika has managed to capture the reddish glow cast by the setting sun on the trees, the plovers, and the people on the ferry. 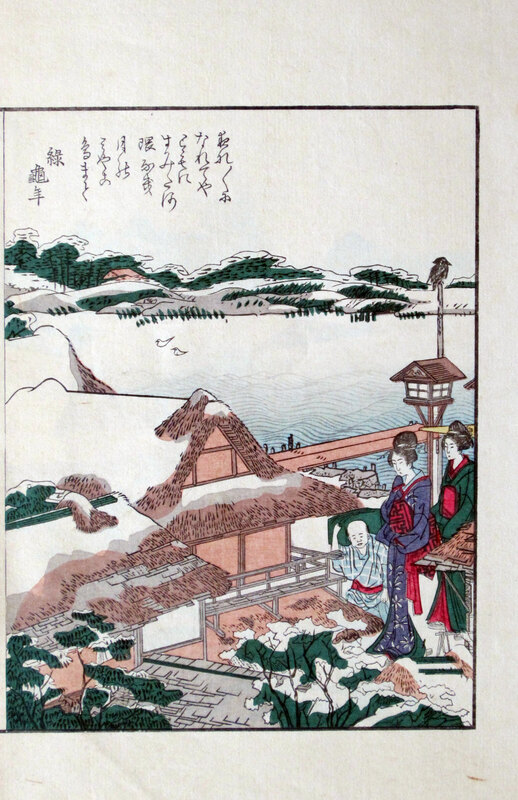 The white roof visible in the distance on the right of the ferry landing in these two prints is probably Massaki Inari Myōjin shrine, see prints 3-10 and 3-11.